It's easy to fall in love with a historic home or with a home in a historic district. However, these charmers come with certain restrictions and expenses that you will want to think about before signing on the dotted line. You might run into unexpected complications when purchasing a historic home. For example, older properties may have serious structural problems you wouldn’t encounter in a new house, as well as hidden problems which may surface later. Owners of historic homes are also required to follow strict home rehabilitation guidelines—many of which allow you to repair, but not to rebuild or to replace. To help protect your future home investment, here's what you need to know before buying a historic home. A home is deemed historic or “architecturally significant” by the National Register of Historic Places—or by the local historic board—if it exemplifies a signature architectural style, captures the essence of a given time period, or is associated with famous people from the past. Also included in this category are homes located in neighborhoods designated as historic districts. The aesthetic beauty of historic homes is a magnet for many home buyers, as is the often unmatched architecture that has withstood the test of time. If you’re thinking about buying a historic home, you’ll be happy to learn additional benefits may come with the purchase of a historic property. 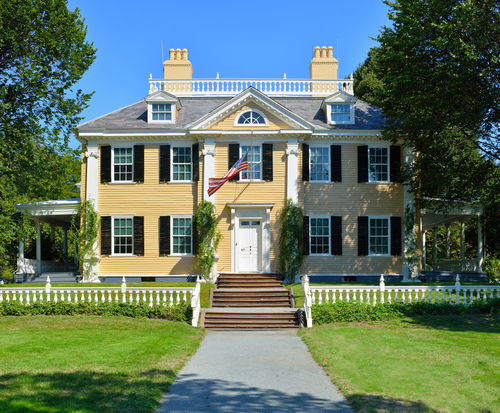 Many states and local governments offer tax incentives in the form of tax credits or lower interest loans for preserving and restoring historic structures. You have to qualify for these tax abatements, and while the amounts won’t make you rich, they’re still benefits you wouldn’t otherwise receive when buying a new house. Have a formal home inspection conducted by a qualified home inspector who specializes in older homes and/or by a structural engineer. Get price estimates from contractors regarding all necessary repair work. Make sure the house meets safety and health standards, including passing asbestos and lead paint tests. If your dream house suffers from major structural problems, walk away. The long-term headaches will far outweigh your emotional attachment. Carefully study the Standards for Rehabilitation of Historic Buildings imposed by local/state laws on owners of historic structures. You may have remodeling/expansion plans that you will not be able to fulfill. Since the goal of historic home renovation is to preserve a home’s true nature and original construction, a home buyer wishing to renovate must obtain special permits and therefore is subject to restrictions aimed at protecting the character of the property or neighborhood. Rarely are homeowners permitted to add footage to historic homes, including extra stories. Windows, shutters and roofs: Since house exteriors such as windows, shutters and roofs embody the original architecture or design style, they are to be preserved and can only be replaced in kind. If costly construction materials are involved, this may be an added expense you didn’t anticipate. Although you may qualify for tax benefits for investing in a home or in a district where preservation and restoration are priorities, tax levies for merely living in a historic neighborhood may be higher than other neighborhoods. Before you seal the deal, study the previous year’s energy bills. It may cost you significantly more to heat and cool an older home than a new one. If you’ve done your homework and the pros outweigh the cons for you, enjoy becoming the proud owner of a historic home.